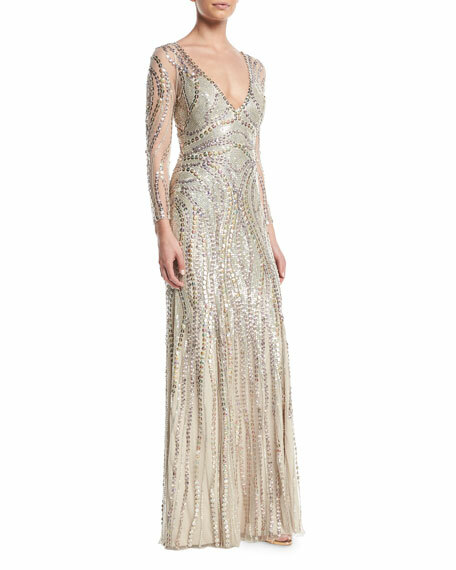 Jenny Packham column gown in tulle with wavy sequin design. 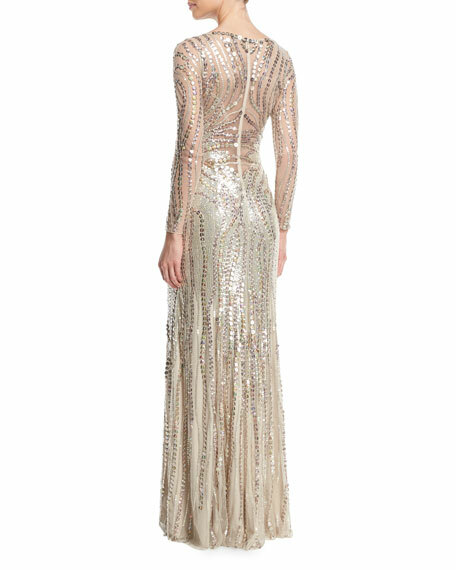 V neckline; open illusion back. For in-store inquiries, use sku #2587584.